At VetMed, we offer first-rate pet boarding for both cats and dogs. Our pet accommodation facility is purpose built to provide comfort, care, and security for your pet so you will have peace of mind during your time apart. We understand that a beloved pet is just like a family member and your time apart can be difficult. With VetMed, you can rest assured that your pet will receive the best care and be treated as if they were our own. 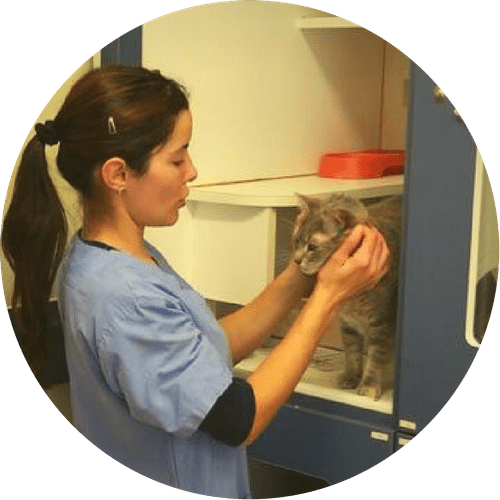 Our team is equally compassionate and caring as they are skilled and we have a dedicated training nursing team on hand to assist all boarded pets. Our boarding facilities for cats and dogs each feature specialised accommodation to promote a comfortable, rejuvenating stay for your pet. VetMed provides specialised care for pets who are geriatric, intensive care patients, or who require ongoing medical attention. We have a dedicated nursing team who monitor and look after your pets if they require this extra level of compassionate care. During their stay, pets can be treated to a day of pampering in our grooming salon. Here they can experience a luxurious wash, massages, styling and clipping, and more.